If you've got big plans to lose weight and get healthier in 2017, know up front that it will be an ongoing challenge. It's not easy to break bad habits, and it's even harder to form new and better ones. But it's not all doom and gloom, because with a decent amount of sticktoitiveness and a little outside help, you can adhere to that new diet, and work out that exercise plan to get into better shape. As for the "outside help" part, you don't need a physical trainer, because these great smartphone apps for iPhone and Android will go a long way towards keeping you on the right track. 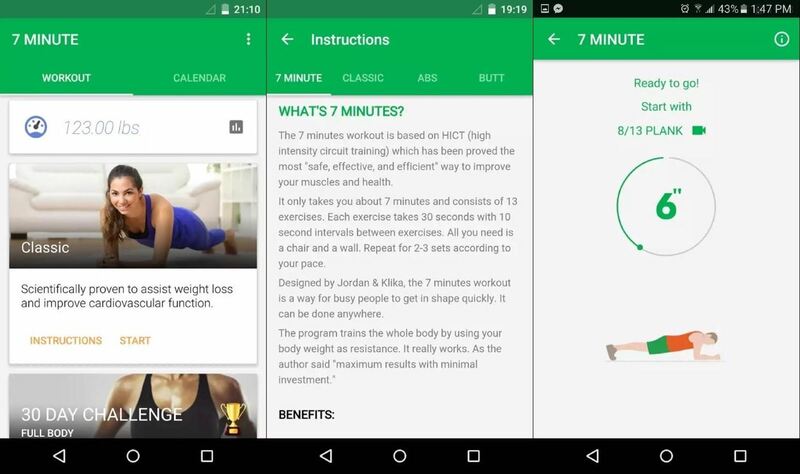 7 Minute Workout Challenge is a great workout app that's designed to be performed anywhere at any time, with no equipment needed. The app guides users through twelve exercises—from jumping jacks, to lunges, and other drills for 30 seconds each with 10 seconds of rest in between. The creators of 7 Minute Workout Challenge claim that their simple, but high-intensity exercise regimen, with little breaks in between, results in higher daily metabolism. According to their research, their workout plan is equivalent to working out for over an hour, but compressed to a little over 7 minutes. The only downside to 7 Minute Workout Challenge is that it will cost you $2.99. But for less than the price of a juicy Big Mac, you can get started on the road to becoming a healthier, more productive individual. If you want to take exercising up a notch, then Sworkit is the app for you. 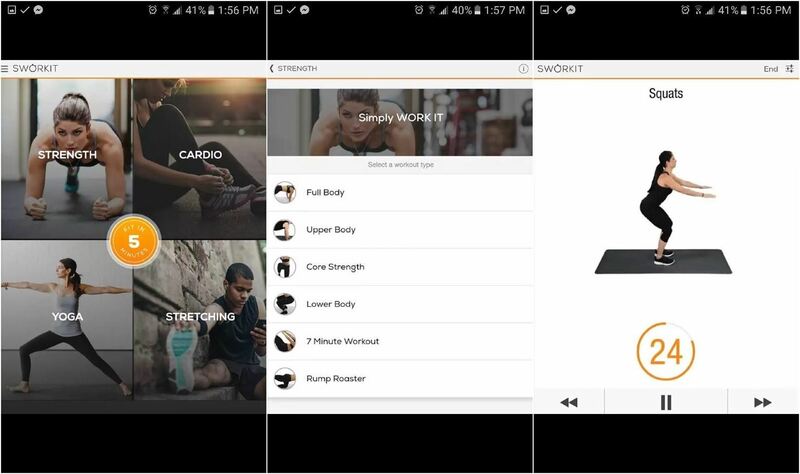 It's a fully customizable fitness app that provides personalized video workouts. The app allows you to set your own pace, with workout duration ranging from 5 to 60 minutes. Sworkit also offers a huge variety of workouts. You can do generalized exercises that focus on strength, cardio, yoga, stretching, and Pilates. Or, you can do targeted workouts that focus on specific areas of your body, such as upper, lower, core, abs, back, etc. 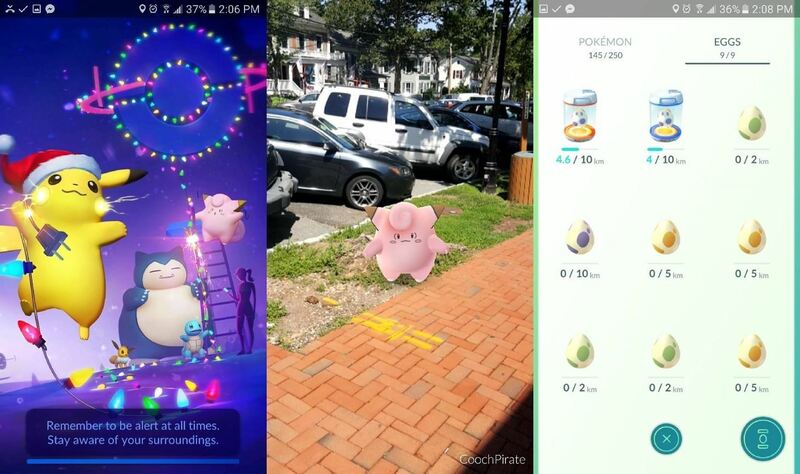 Anyone who's ever played Pokémon GO can attest to the sheer amount of time spent on walking around in a seemingly never-ending quest to catch 'em all. I've found myself walking around for hours on end, hunting down Pokémon and hatching eggs. That's the genius of this little gem: While this game offers no intense workouts, it does make you physically active, often without making you realize. MyFitnessPal is one of the most comprehensive and highly-rated diet and nutrition apps out right now. It's packed with features, including a database containing over five million foods, and a recipe calculator that lets you see the nutritional value that a home cooked meal has. The core "Calorie Counter" function fully syncs with their website, so you can count calories cross-platform. 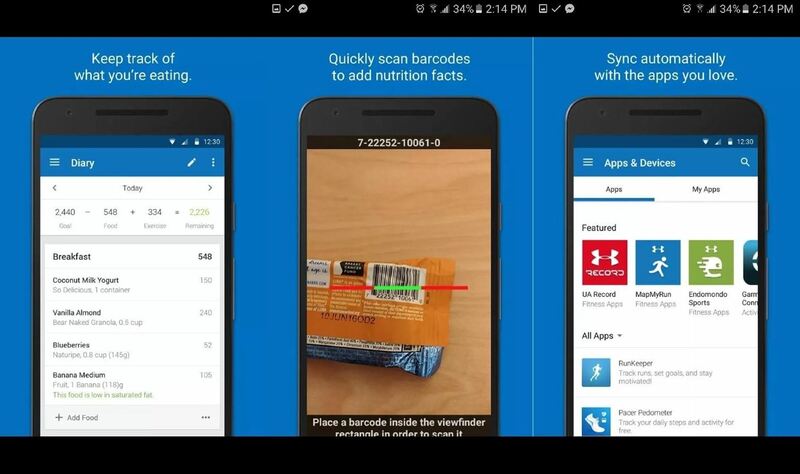 MyFitnessPal also includes a fitness tracker that comes with 350 exercises, covering strength training and cardio. It can also sync with other fitness apps like Sworkit to help streamline your workout and dietary needs, information-wise. My Diet Coach takes a different approach and focuses on mental hurdles when it comes to weight loss. It keeps you motivated using photos, tips, mental hacks, and rewards. My Diet Coach utilizes a "crawl before you walk" approach when it comes to lifestyle changes for a more consistent outcome, as opposed to a drastic change, which usually results in failure and relapse. My Diet Coach has some basic features like calorie counting, progress tracking, and reminders to do things like eat or drink water. 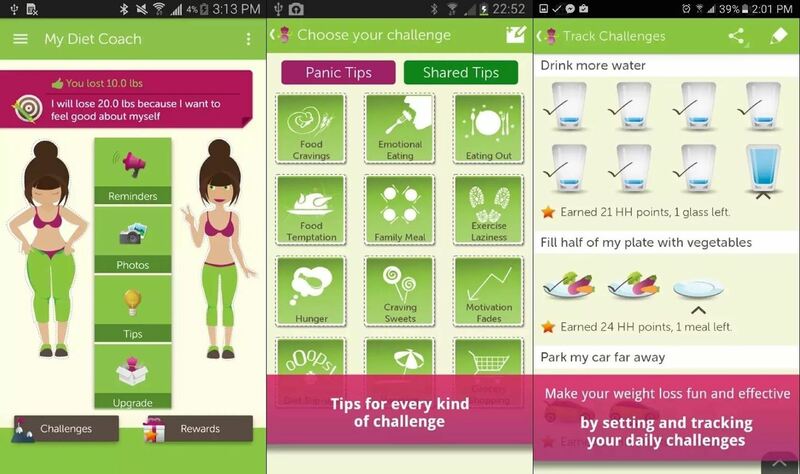 The app also comes with an awesome visual weight loss tracker, so you can see your progress and keep yourself motivated as you journey to a better you. Calorie Counter by MyNetDiary is a calorie counter app with some great features. 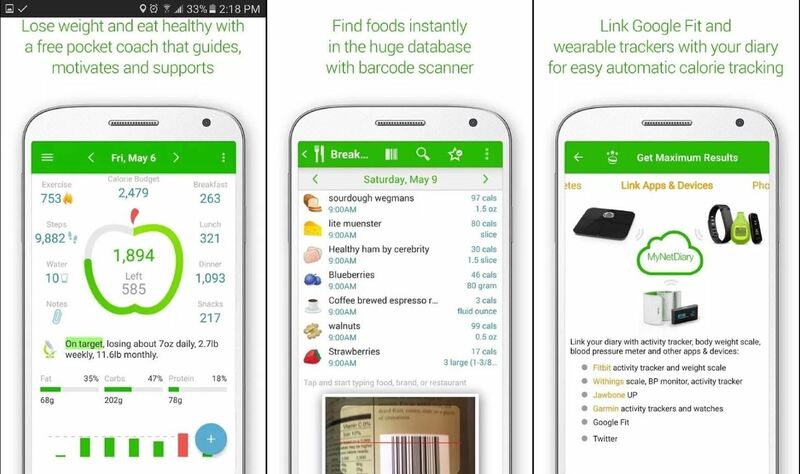 It tracks what you eat using a stored database containing at least 600,000 foods. It also comes with a basic fitness tracker, and support for a variety of connected devices such as Fitbit and Garmin. Calorie Counter Pro is able to keep track of other vitals like heart rate, blood glucose, cholesterol, and more. MyNetDiary provides cross-platform support via their website, so be sure to check it out.